Looks like the Yankees have their designated September pinch-runner. The Yankees have signed speedy outfielder Quintin Berry to a minor league contract and assigned him to Triple-A Scranton, the team announced. The Brewers released him four days ago and he is not on the 40-man roster. Berry, 33, spent most of the season in Triple-A with the Brewers, where he hit .214/.290/.321 (32 wRC+) in 42 games and 93 plate appearances. He did steal ten bases in eleven attempts though. Berry is a career .262/.333/.364 (93 wRC+) hitter at the big league level in 345 plate appearances. 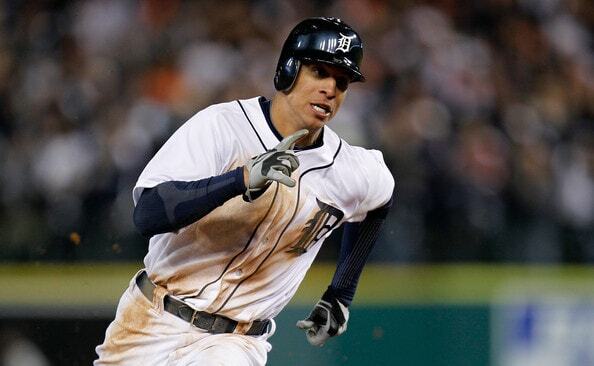 He’s 29-for-31 in stolen base attempts and started his MLB career with 25 straight successful steal attempts. Because Berry signed before August 31st, he will be eligible for the postseason roster, even if he’s not called up until September 1st. Jacoby Ellsbury’s injury gives the Yankees a position player exemption for the postseason roster. If the Yankees carry Berry on their postseason roster, he would, technically, be Ellsbury’s injury replacement. Don’t look at me. I don’t make the rules. It should be noted Berry has experience in this designated pinch-runner role. He did it for the 2012 Tigers, 2013 Red Sox, and 2015 Cubs. I’m sure he’s not as fast as he was in his 20s, but he knows the role and has experience in it. That’s a plus. I thought the Yankees would go with Tyler Wade as their late-season pinch-runner, but it looks like it’ll be Berry.